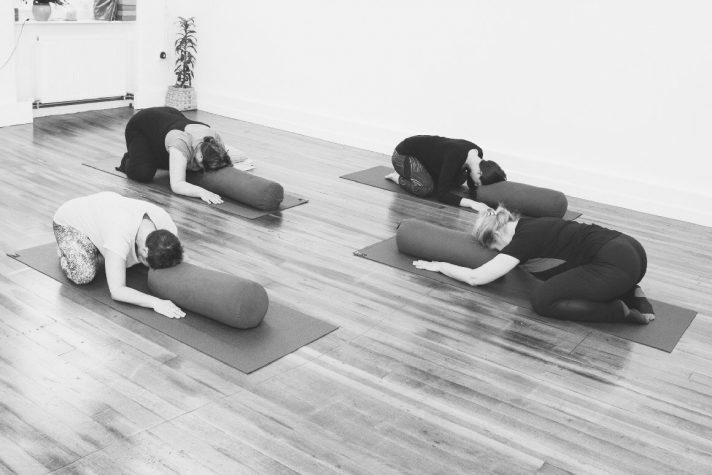 Every class is tailored to the needs of the students & always includes Asana (postures), Pranayama (breath awareness) & deep relaxation. Everybody is welcome. 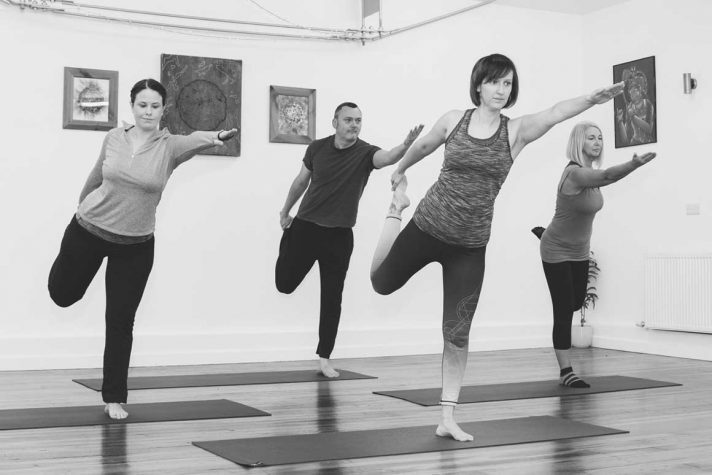 Each class is tailored to the needs of the students & always includes Asana (postures), Pranayama (breath awareness) & Yoga Nidra (deep relaxation). 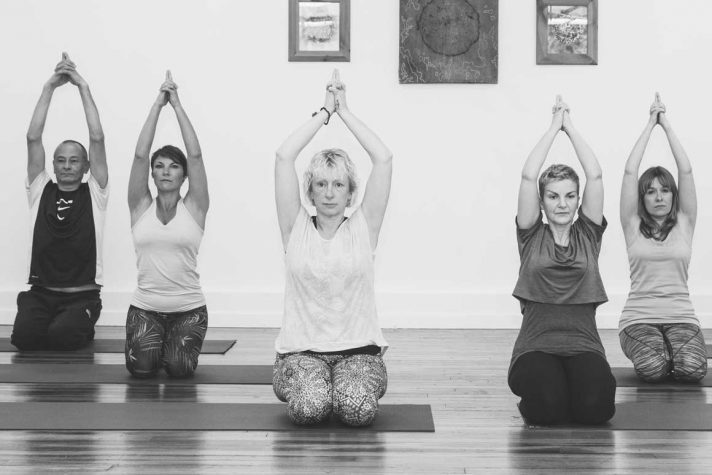 A rhythmic hatha yoga class which is inspired by and follows the cycle of the moon. 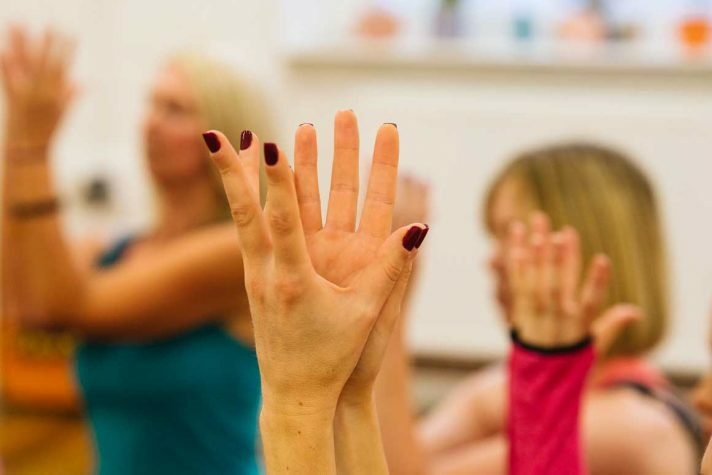 Start your weekend by immersing yourself into a 2 hour class of Asana (postures) Pranayama (breath awareness) & Yoga Nidra (deep relaxation). 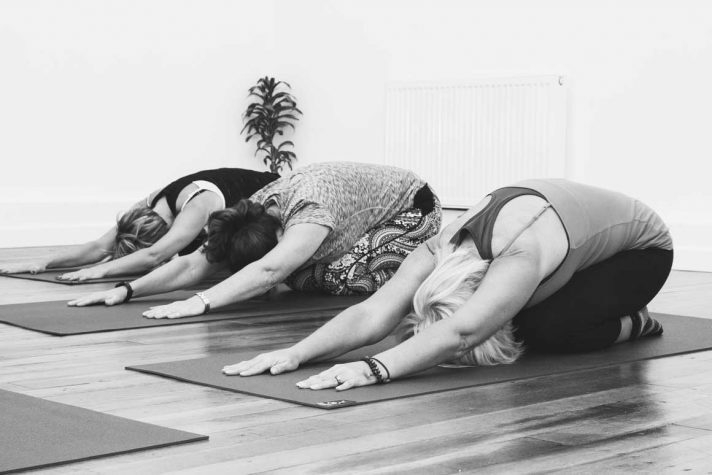 Yin yoga is sloooowww yoga, simple postures are held for 3 to 5 minutes, the aim is to relax the muscles, create space in the joints & soften deeply within. In this gentle Hatha Yoga class I invite you to move slowly and with awareness to what is appropriate to your body and how is feels today. 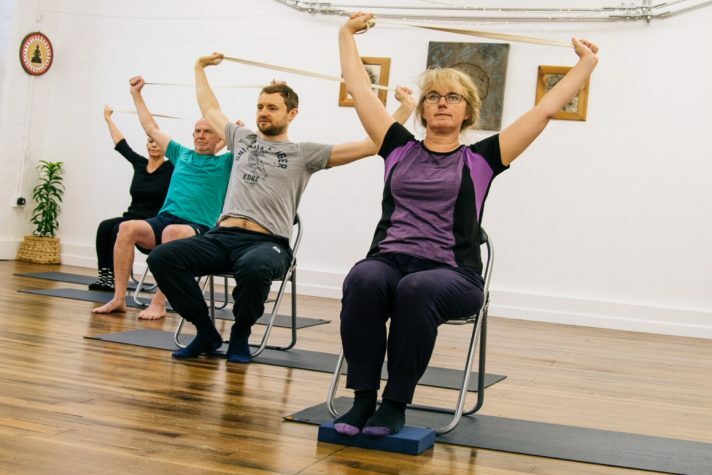 Working with a chair is a useful tool and can help you access the movement and postures with ease. 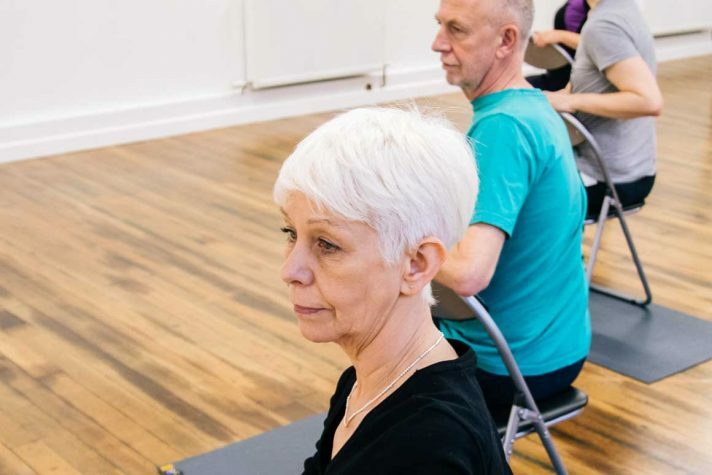 A gentle, friendly yet focused class giving participants the opportunity to explore their range of movement, concentration, and balance. Here is a wonderful opportunity for you as a new mum to ease your way back into exercise after the birth of your baby. 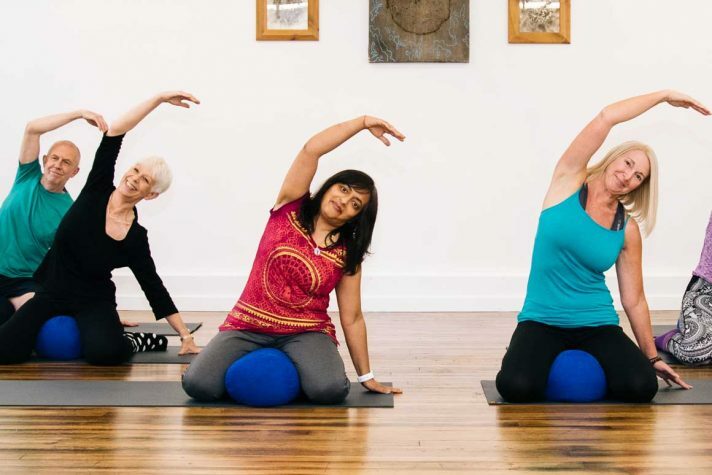 Discover how yoga can help you stretch, strengthen and tone your body. Our fun classes begin with welcoming everybody using a mesmerising hang drum which kids totally adore. Yoga encourages self confidence and self-esteem in Om Kids (4-8 yrs) and supports their creativity and uniqueness. 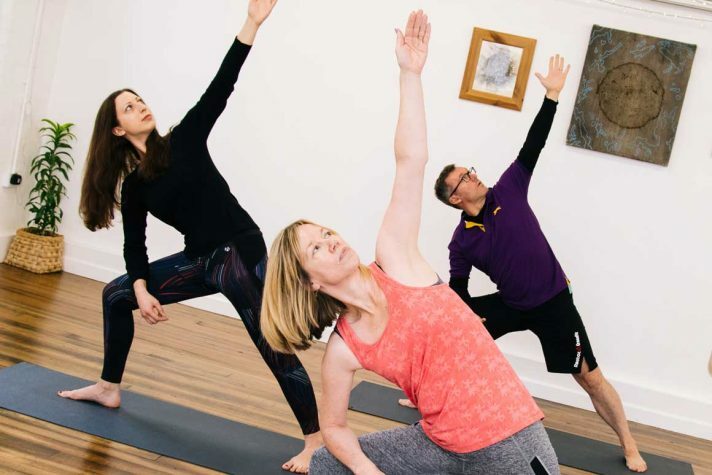 These classes are designed to help you flow through a variety of postures and combinations and energised by the continuous movement, your mind slows down and becomes spacious and you will walk out feeling relaxed and rejuvenated. 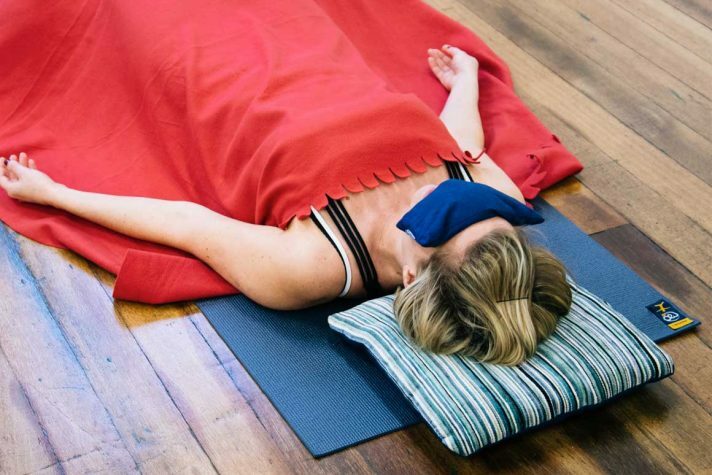 After the narrative of our day & week, come to a full stop & lie down & be nourished by the deep relaxing powers of Yoga Nidra & journey within with a guided Meditation to bring balance & calm to your entire being. 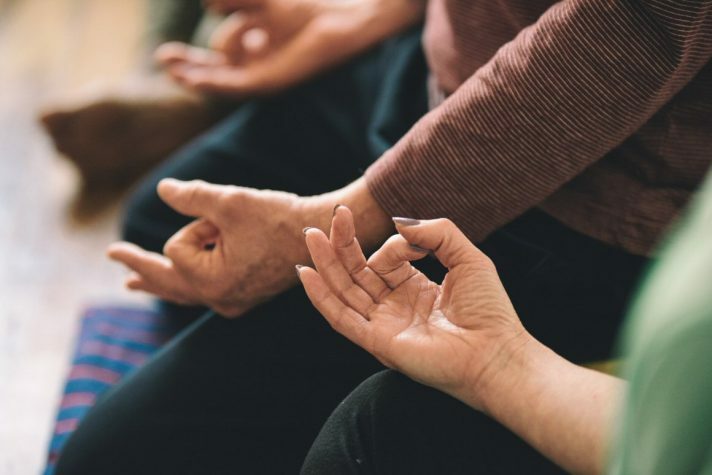 There are many benefits of having a regular meditation practice but meditating in a group makes it personally and socially more powerful. 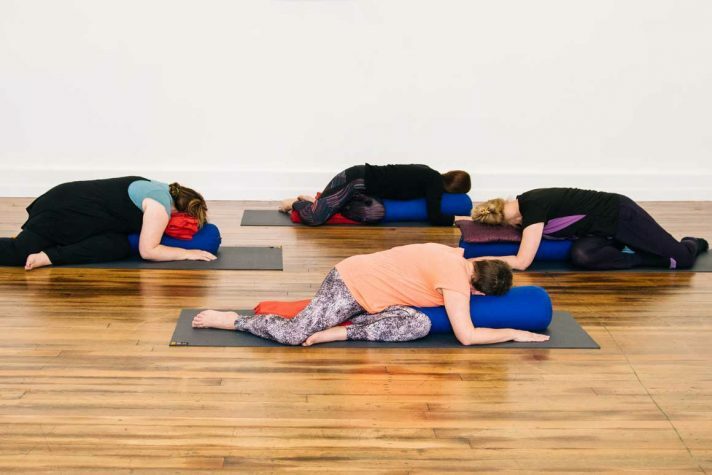 Yin yoga is a stilling practice that cultivates a deep sense of awareness through the release of mind and body stresses. 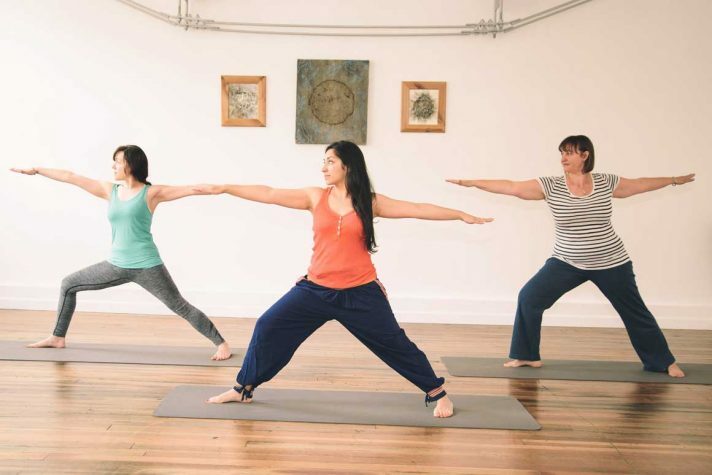 Based on the 4 basic elements, the Fire, the Water, the Earth and the Air - Mandala Vinyasa Flow connects each element with a specific area of the body, integrating the spiral patterns that nature uses and exploring circular movements with our bodies. 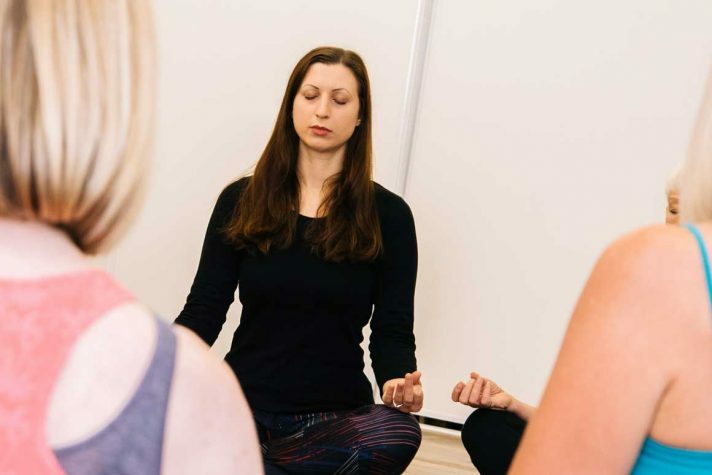 An opportunity to meditate and learn more about yogic philosophy. Together we learn, meditate, grow and blossom. Open to all.